The other day I picked up the Topshop highlighter and this pretty pink nail polish. 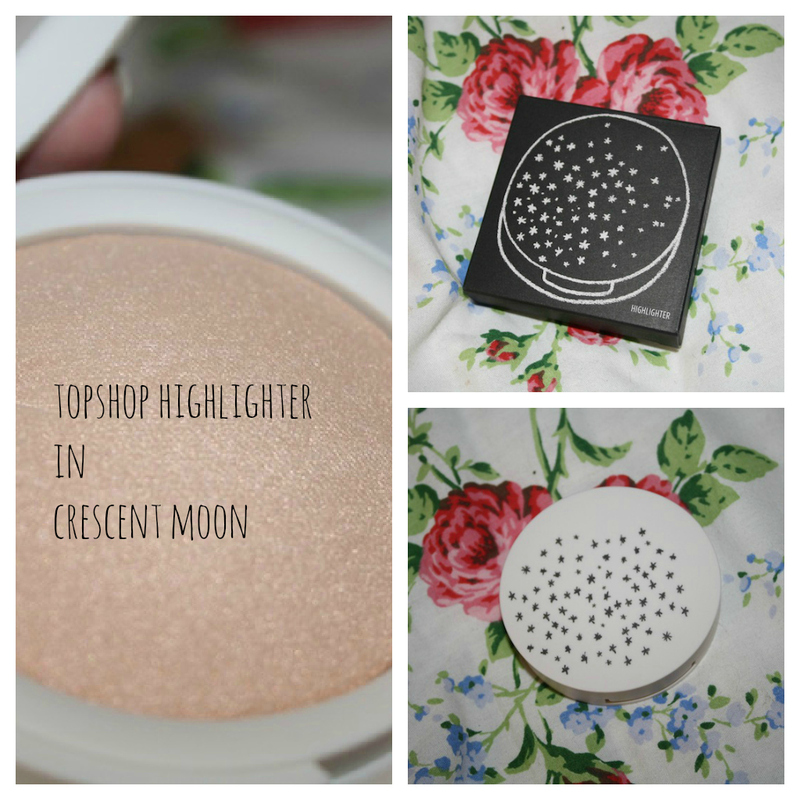 I really wanted to start using highlighter and have looked at the Topshop one before. I think the Topshop make up brand is good but I've only really used eye and lip products not face products. I picked it up anyway and paid £9 with student discount which compared to the Benefit Watts Up Highlighter at £23.50 is nothing. The Packaging is gorgeous - the only issue is its white and its not going to be white for long! I'm keeping it in the box at the moment but we all know that doesn't last long. The actual highlighter is good, I've been using a foundation brush to apply it under my brow, down the center of my face and then using it to define my cheeks along with my blush. You can only really see it in certain lights but thats the point of highlighter to highlight these areas. I really like the product and have used it everyday since I bought it, the only negative is it has NO MIRROR ! I know this isn't a major issue it's just not ideal if you wanted to apply this quickly and you didn't have a mirror handy.. I'm really glad I bought it and really want to give more Topshop make up ago. The nail polish is called powder. Its a baby pink with a little bit of shimmer in it. I would prefer for it to be abit more shimmery but its a nice neutral shade for when you don't want much colour on your nails. This is the first Topshop nail polish i've used and I love the brush and the handle size because its really easy to use. I used about 3 coats of this but it is a light shade. I really liked the colour and I picked it off so can't really say how long it lasts but it stayed on for a couple of days without any chips.I really like the packaging again and can't wait to buy some more Topshop polishes. I do think the topshop polishes are abit pricey this is a shimmery one so was £6 but the standard shades retail at £5 and thats for 8ml but the models own polishes are £5 for 15ml. 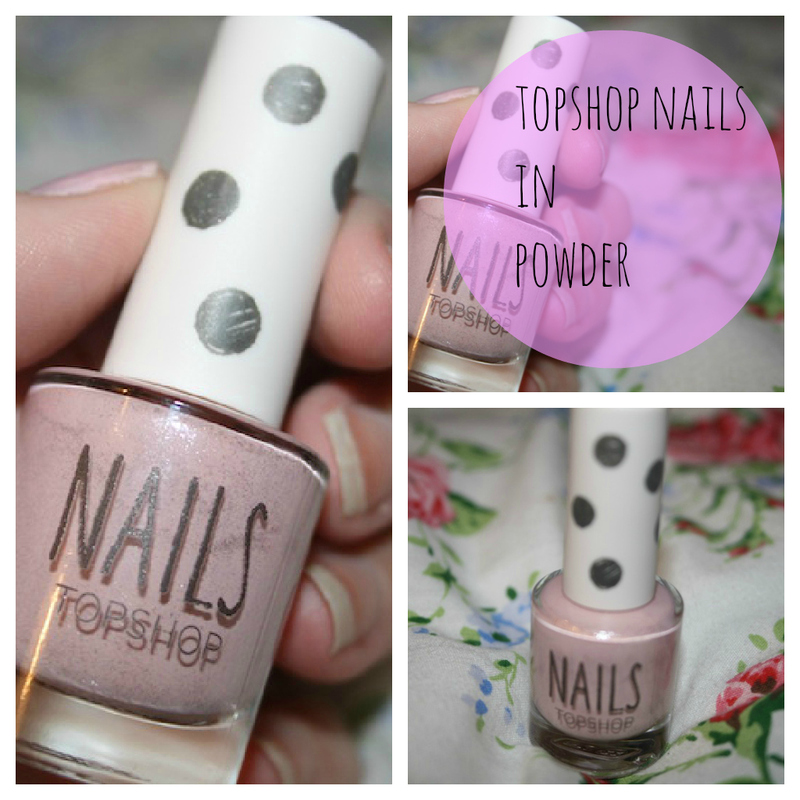 Would you spend your money on the Topshop polishes or Models own ? Have you tried any Topshop Make up ? I've only tried one blusher from topshop makeup, I was impressed and really want more! The Crescent Moon Highlight is so pretty. I was gutted there wasn't a mirror. It would be a perfect product if there was. lovely highlighter, do you know why its not on the topshop website though?